6.1 oz 100% preshrunk cotton shirt. Double-needle stitching throughout, seamless collar, taped shoulder-to-shoulder, feminine cut with narrow 5/8" ribbed neck. Loose fitting and high quality. 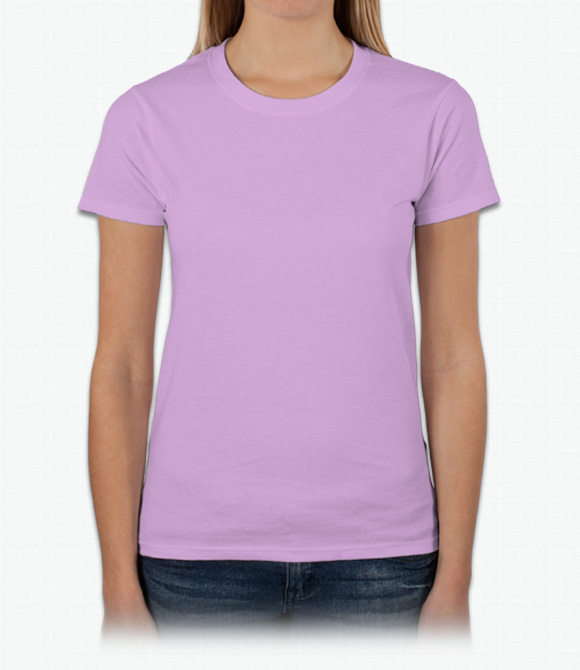 Matches very nicely with the men's version of the Gildan Ultra Cotton Tee. "It was amazing quality. I would've liked it better if it came with a paper saying if you could machine wash it or not." "I don't recall the promised delivery date, but it seemed to take a long time. I'd like to be able to login to an account to see my history, track status and reorder." "The shirt itself was great. And inexpensive. Which is why we went with OOshirts in the first place."